GONZALES, LA (WAFB) - Two men have been arrested on a slew of drug charges, say officials with the Ascension Parish Sheriff’s Office. 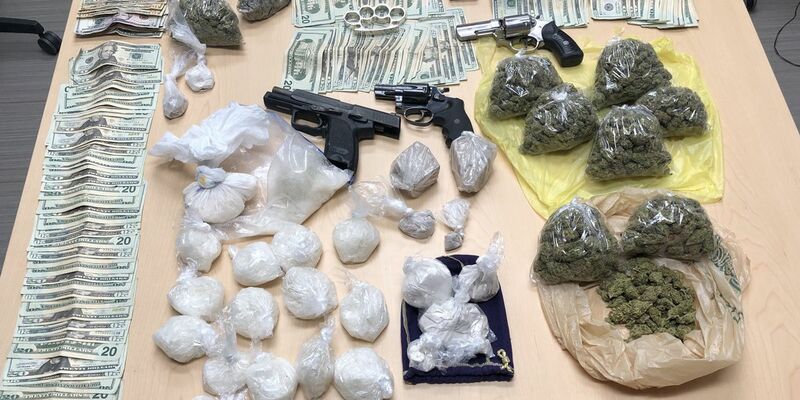 APSO says on Wednesday, Jan. 16, detectives searched three homes in the parish, resulting in a large amount of drugs being seized from three different houses. While searching one of the homes, juveniles were found in the home. Those juveniles were placed in the custody of next of kin. Two arrests were made as a result of the searches. Both suspects were booked into the Ascension Parish Jail. No bond has been set at this time. APSO officials note Lee has been arrested more than 20 times and charged with crimes such as aggravated battery with a dangerous weapon, second degree battery, and numerous drug offenses. Mumphrey has been arrested more than seven times for crimes including first degree murder, illegal carrying of weapons, and multiple drug offenses as well. More arrests could be forthcoming as the investigation continues.